Haroon Mirza's live performance Emerging Paradigm makes its London debut at DRAF on Thursday 22 June as part of the organisation's Spring 17 season that looks at the intersections between music, sound and art. Mirza, who with his studio hrm199 have been based on-site at DRAF over the last year, continues Mirza's ongoing interests in shamanism, psychedelics, quantum theories, astro-physics, fundamentalism and epistemology. Emerging Paradigm is the title of the device designed and developed by hrm199, which consists of a multi-media player that allows users to synchronise up to four videos and 24 channels of electrical signal. The electrical signal can be used to generate light and sound simultaneously using binary processes and/or interface other electronic equipment. This first piece made for the multi-media device, also titled Emerging Paradigm (2017), presents a combination of iPhone and youtube footage collated over a three-year period. The content is a combination of mundane everyday observations, scientific and pseudo-scientific educational videos and documentation of works by artists and musicians. It also features footage from artist Nik Void of Factory Floor. 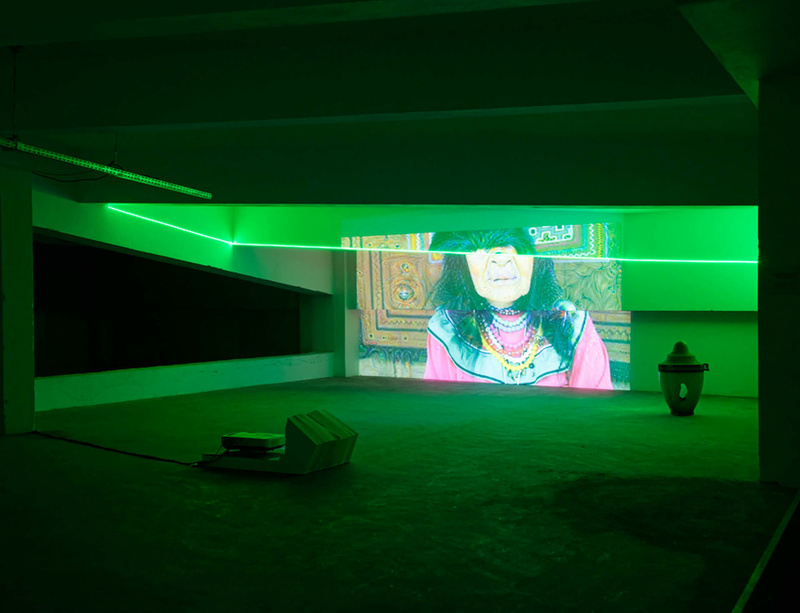 A performance by Haroon Mirza will take place on Thursday 22 June from 7.30pm, with a DJ set by Francesca Gavin. Free, all welcome.